This client had a small space with an unusual shape. Paving stones can easily accommodate any space and can be cut as needed. 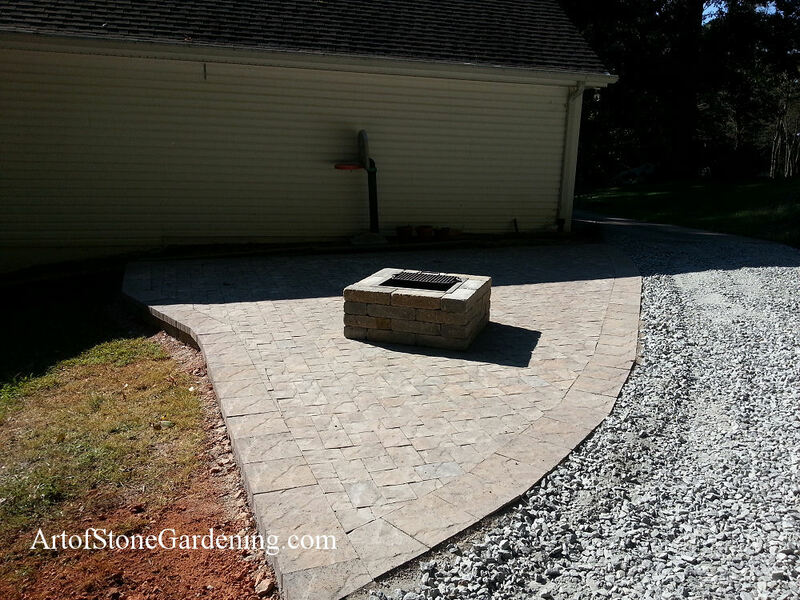 The firepit is square and is recessed into the paver patio.